Lama Yeshe Jinpa is the Spiritual Director and resident teacher of Lion’s Roar Dharma Center which he co-founded with Geshe Losang Gyatso in 1992. He is also the founder of Middleway Health – a center for healing, creativity and growth, and Middle Way Health Foundation – a nonprofit center providing free services to the community. He has co-authored two books and offers workshops that blend his Buddhist teachings with real-world career and life experiences. 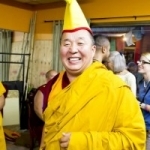 For more information on Lama Jinpa. Geshe Damchoe was born in 1968 in Mongolia and has been a Buddhist monk since 1991 when he was ordained by Bakula Rinpoche. He received his Gelong ordination in 1995 by His Holiness, the XIV Dalai Lama and studied at Sera Je Monastery in Southern India for 19 years. 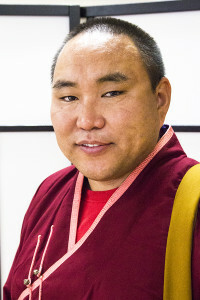 Venerable Damchoe completed his Geshe Degree in 2012, the first Mongolian to receive a Geshe Degree from Sera Je Monastery in Southern India. During his time in India he also attended many of the public teachings given by the Dalai Lama on a variety of subjects in both Dharamsala and India. He has been a full-time resident teacher at Lion’s Roar Dharma Center in Sacramento, California since 2008. Judy Lynn has been an assistant and office manager to Lama Jinpa since 2001 and has played an intregal part in Lion’s Roar growth. She is the Secretary of the Board and maintains the daily financial and administrative flow for Lion’s Roar and is responsible for serving as the CPA and producing monthly reports for the Board. She handles all state and federal requirements for Lion’s Roar to maintain it’s non-profit status and supports the volunteers in running ongoing functions at the center. She has a background in office management, is a Certified Clinical Hypnotherapist, and teaches through her business Adventures in Shamanism. Debbie joined Lion’s Roar in 2009. 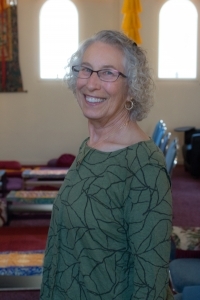 She handles the board meetings and provides day-to-day support to Lion’s Roar Associate Teacher, Geshe Damchoe, and for the Sangha House in Orangevale. Debbie retired from the workforce in 2011. Prior to her retirement, she worked over 30 years in the federal government in a variety of areas including budgeting, accounting, setting electric power rates, and analyzing regulations. Debbie is part of a group in her local community that is working to preserve riparian forest land in the neighborhood as a natural habitat for plants and animals, and a contemplative space for local residents. Debbie has a Bachelor of Science in Business Administration from California State University, Sacramento. Susan joined Lion’s Roar in 2008. 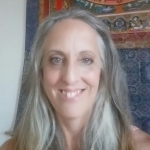 She provides administrative assistance, day-to-day support for the temple, facilitates the Buddhism from the Ground Up discussions and leads practice and meditation sessions. 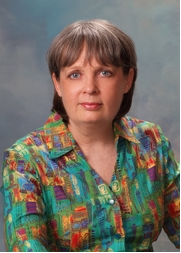 Prior to her retirement in 2004 she worked as a legal secretary, paralegal and law office manager. After moving to California she worked as an analyst and manager for the State, specializing in data and demographic research. Susan is active as a hospice volunteer providing caregiver relief and visits elderly residents of long-term care facilities as requested. She has a BA from the University of Colorado and post-graduate work in urban planning from UCLA. Ellen joined Lion’s Roar in 2007. She is a board member and a student-instructor. 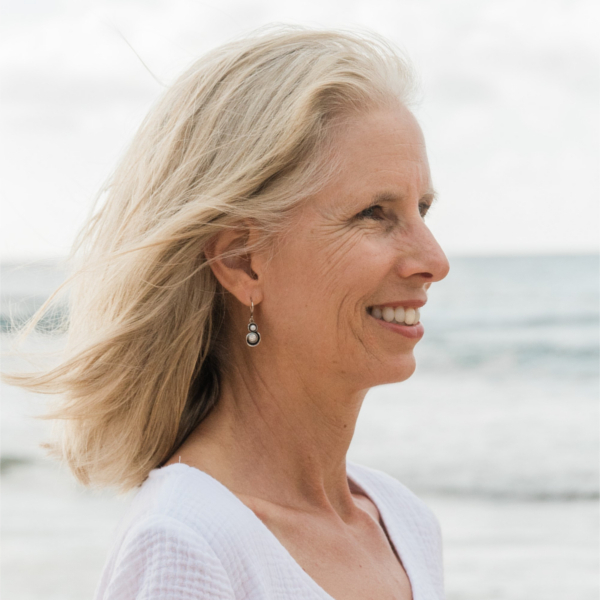 Ellen continues to run an energy policy consulting company while increasingly providing support in the area of mindful leadership. 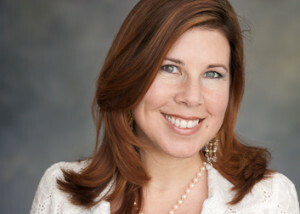 She is a certified Search Inside Yourself instructor and leads programs for corporate and other organizations. Ellen also works with individuals wanting to development mindfulness and emotional intelligence and apply it in their work and life. Ellen has a Bachelor of Science Electrical Engineering from the University of California, Davis and Masters’ degrees in Management and Technology and Policy from MIT. Elizabeth joined Lion’s Roar in 2013. Elizabeth is a board member, student speaker and also is a part of the LRDC Arts program. 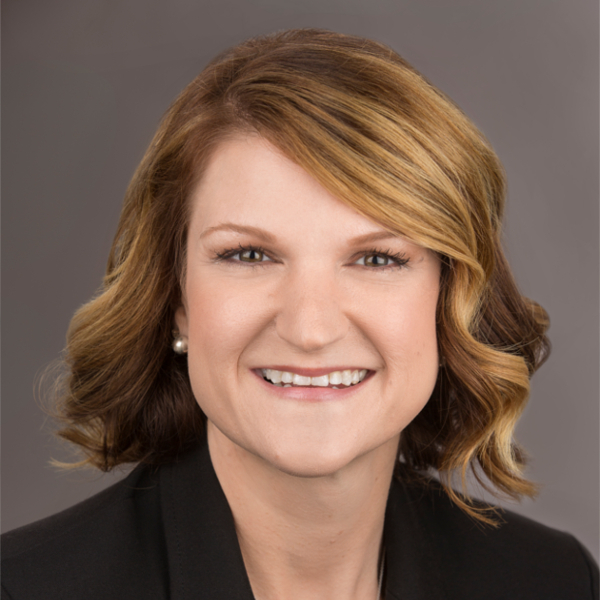 She has over fifteen years of non-profit management experience, and currently works on the executive team of a local non-profit credit union. Elizabeth holds a Bachelor of Science in Business Administration, Strategic Management from California State University, Sacramento. Greg Vigil is a Bay Area native, born and raised in San Jose, CA. He relocated to the Sacramento region in 2005. 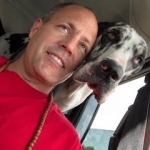 Greg attended Lincoln Law School in San Jose and has studied Aviation, Sociology, and Dharma for over 15 years. Greg became a dedicated student of Lama Yeshe Jinpa’s in late 2016. 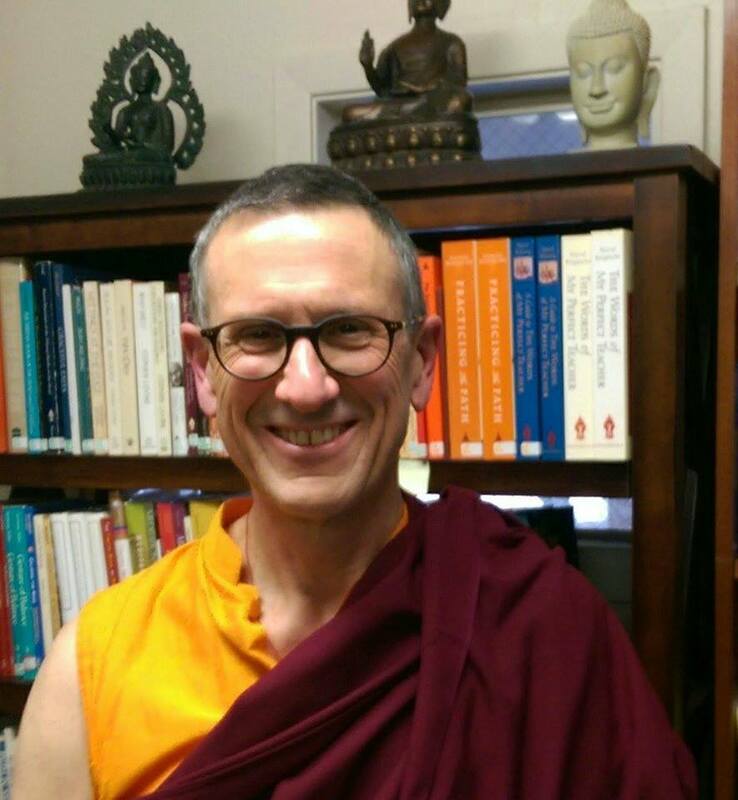 It is with great dedication and honor that Greg is willing to serve the Sangha Community through Lion’s Roar Board of Directors. Greg is continuing his study efforts with aspirations of serving as a liaison and chaplain for our community. Greg also has a strong passion and love for Great Danes. As the Operations Manager, Baasandorj serves as the liaison to several highly regarded Buddhist teachers who visit Lion’s Roar Dharma Center on a regular basis. Baasandorj translates teachings from Lion’s Roar Resident Teacher, Geshe Damchoe, acts as Umzei for visiting teachers, assists Geshe Damchoe with preparation for special events at Lion’s Roar and preforms buddhist ceremonies and blessings for the community. He also provides the day-to-day maintenance at the Sangha House in Orangevale. Baasan has a Bachelor’s degree in Buddhist Studies from Sera Je Monastery, in Southern India. 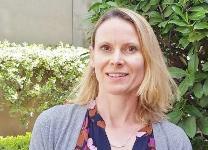 Melanie has inhabited the role of community liaison for various local City, County and nonprofit groups. As an author, public relations consultant and wellness coach, she works with residents and organizations fostering clear communication and mutually beneficial visions and goals. For Lion’s Roar she acts as an interfaith ambassador strengthening connections between Lion’s Roar Dharma Center and members of the community; local nonprofits, organizations and governmental entities. Erika is the Executive Manager for Lion’s Roar, working alongside Lama Jinpa to coordinate strategy development and implementation. She has a background in accounting and office management. She is certified in QuickBooks and loves crunching numbers and making sure everything adds up. Marie is our onsite secretary. You can find her in the temple office Mondays and Thursdays 11:00 am-3:00 pm and 2nd & 4th Saturdays 12:00 pm-2:00 pm. Appointments are also available on request. Marie was a manager at Tower Books and had a second career as a medical assistant. She manages our Facebook page and has also produced many of our booklets and publications. Marie brings great enthusiasm and energy to Lion’s Roar.